This week at Sunday Stamps we have a fun color challenge! The colors might seem intimidating to some but I really think so much can be done with them so let your imaginations fly! I decided to make a Father's Day card with these colors and grabbed a set I haven't used since getting it when it first came out (bad me! ), Wetlands. I love this set and I honestly don't know why I haven't inked it up before. Using one of the stamps from the Work of Art set I stamped 3 colors to create my beach scene....Lost Lagoon, Coastal Cabana and Basic Gray. 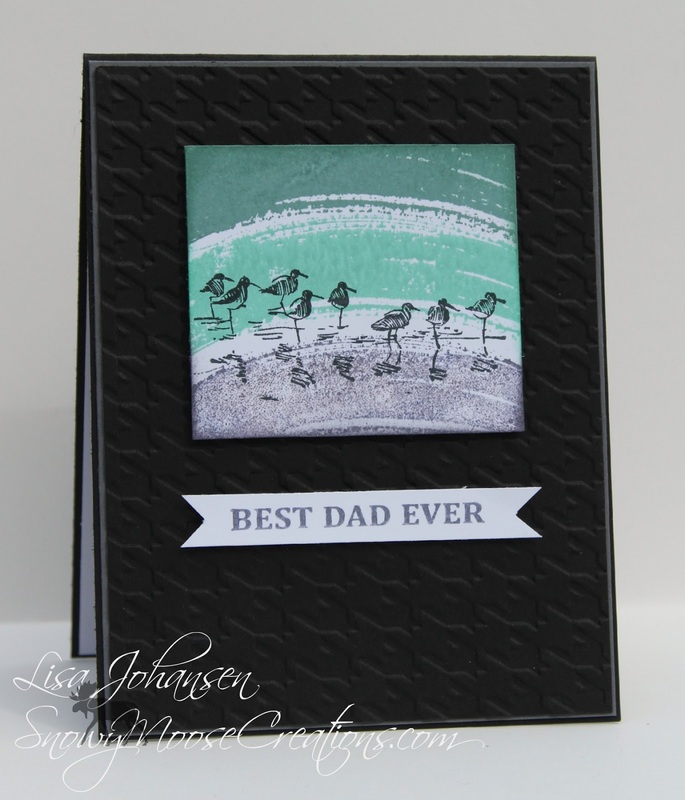 The little sandpipers were stamped in Memento Tuxedo Black. The stamped the sentiment in Basic Gray ink on Whisper White and created a banner to place under the little scene. Both panels are popped up with dimensionals. The black background was embossed with the Houndstooth TIEF to get some texture on the card. 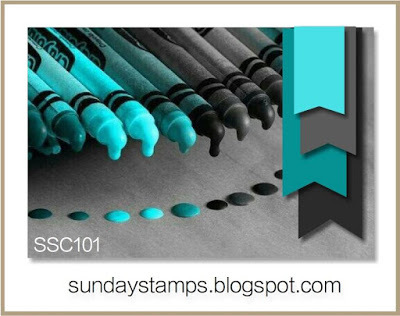 I hope you'll stop by the Sunday Stamps blog to see what the rest of the DT created and then play along with us! Remember you can use any colors you have that are similar to the ones in the photo, it doesn't have to be SU. Love your shore birds! This is such a great masculine card! What a lovely combination of the colors! The black really makes everything pop and I love the background you have created with the swoosh from Work of Art. Your card is delightful! !